Reach 100000 points within 90 seconds to complete the level. This level have normal difficulty and you need to try to use simple strategy to complete this level. For this level first try to play near to blockers to and break timer bomb as they appear. 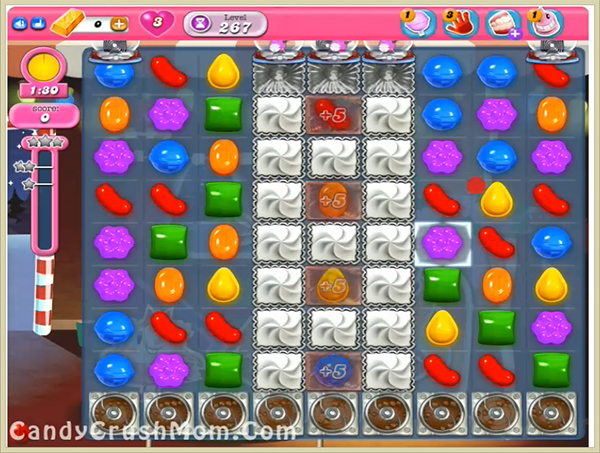 Try to use striped candy and special candy and break timer bonus candies as you get. We completed this level with 109100 score using striped candy and above technique that we share and got luckily single star score that help to reach requirement.